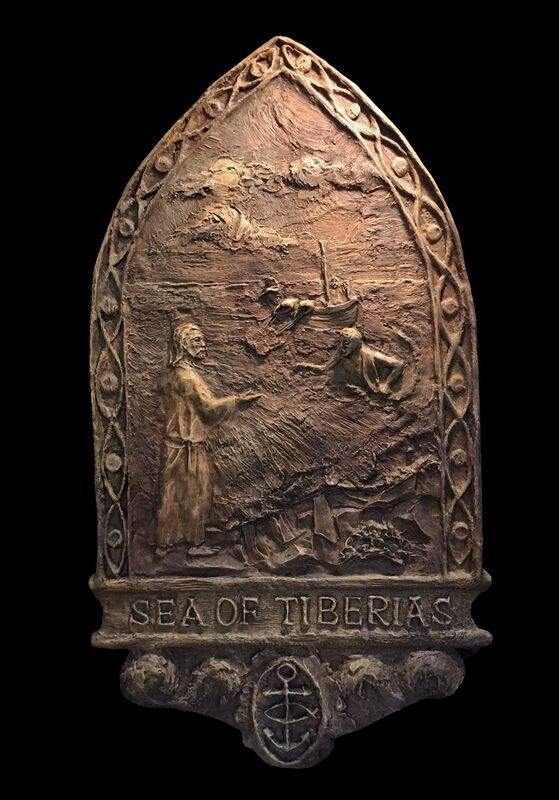 Bronze relief entitled Sea of Tiberias shows fishermen in the early morning under a setting moon. Peter has leapt into the sea upon recognizing Jesus. Each bronze relief in the Stations of the Resurrection series has an ornate border and a unique identifying icon at the bottom. Here, the icon is of the ancient symbol of Christianity: the fish.